As we continue to accumulate knowledge, we begin to realize how often old ideas are overturned due to new facts that contradict them. 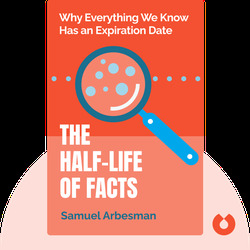 The Half-Life of Facts explores patterns in the way knowledge is created, and permeates our world and our personal lives. The book also gives some helpful on how to deal with our ever-changing world and regain a sense of control. 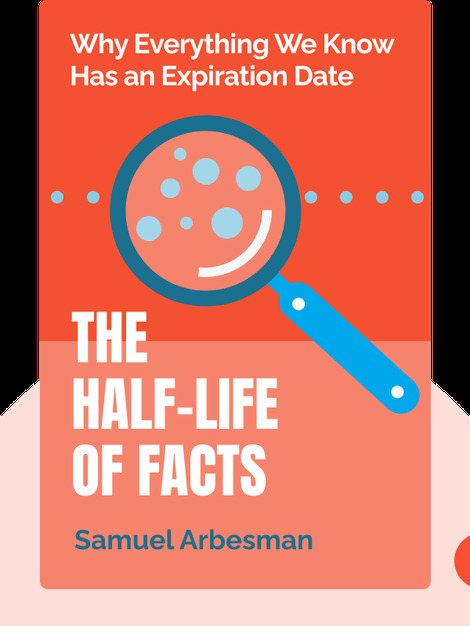 Samuel Arbesman is a scientist in the field of applied mathematics and a fellow at the Institute of Social Sciences at Harvard University. He also has a blog on Wired, and his essays have been printed in popular newspapers such as The New York Times or The Wall Street Journal.